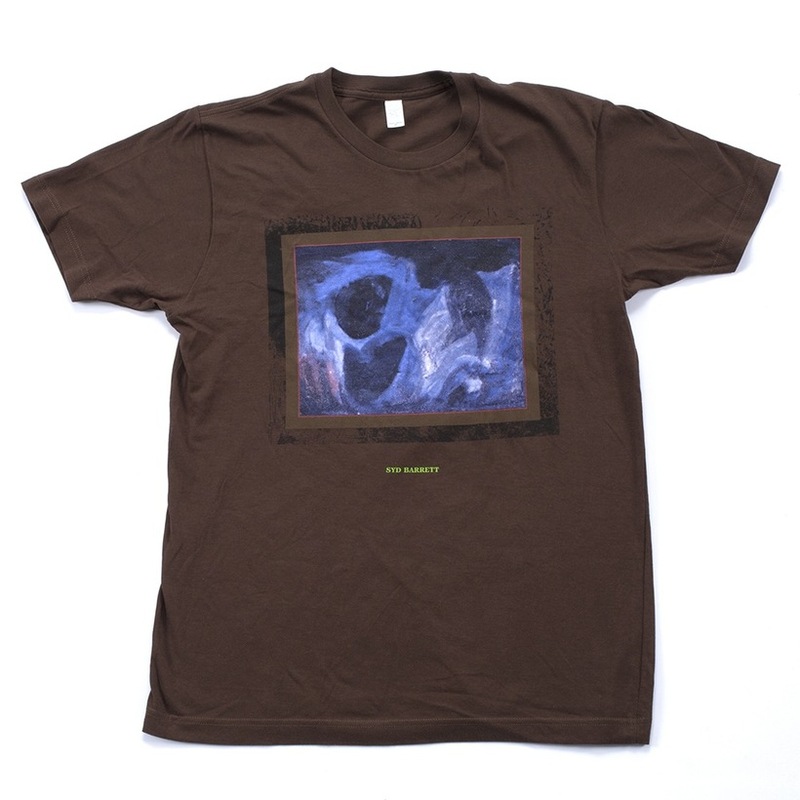 Brown short sleeve "Syd Barrett" t-shirt with green writing and one of Syd Barrett's paintings. Great t-shirt. Wasn't aware until I received it that there is also a graphic on the back of Syd - head shot &amp; his name. Might be useful to additionally include this added bonus on the product info. A fantastic shirt that is fun to wear. 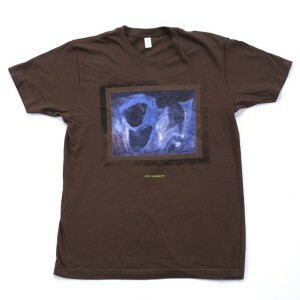 These shirts are very well made. The uniqueness makes me feel like a special Syd fan. If you're a fan, you will not be disappointed. Shine on R.K.B.